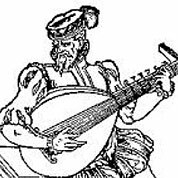 Adrian Le Roy was an influential French music publisher, lutenist, guitarist, composer and music educator. He was born in the town of Montreuil-sur-Mer in northern France to a wealthy family. Very little is actually known about his formative years but he was probably a chorister and studied the lute with various teachers.